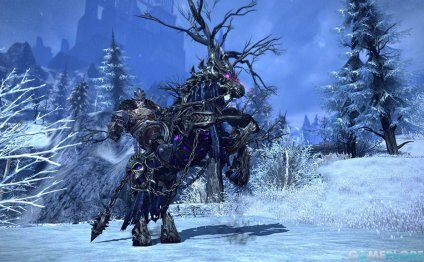 A look at the top 10 mounts in MMORPGs in the very first edition of our new weekly column all about lists, Listed. Echo of Soul announced they’ll be heading into closed beta in May this week which has introduced an all new interest in the game, making it the top viewed game on MMOGames this week. The Game of Drones update just recently landed in ZMR and we’re giving you the opportunity to grab a Lazerdrone from level one that you would normally only get at level 20. This week Steam announced they would be putting account restrictions in place for any account that doesn’t spend $5. WoW columnist BroadcastDinosaur looks at mythic dungeons and speculates that the introduction of them may cause further fatigue in Warcraft players. EEDAR predicts that by 2016 League of Legends will have 66% of the MOBA market. Browser based first person shooter has been one of the most viewed games this week, but with no recent news from the game you’re left to wonder why the sudden surge in popularity has happened. Though the voting for this has been over for many months the Most Anticipated MMO 2015 page has remained one of the most viewed pages all year. TERA announces an all new class and gives a Steam release date. More than 5, 000 people voted this month to crown a winner for the April 2015 Editor’s Choice. The winner walked away with only 25 votes between them and second place. We’re celebrating the 6th Anniversary of Webzen with a massive giveaway for several of their titles including C9, Archlord II, Flyff, and more. We’re giving away over $120 worth of in game prizes in celebration of ZMR’s Game of Drones update. Contest ends soon. The stunningly beautiful continues to be one of our most viewed games as more seek out information about the Korean MMO. We spoke with the CEO of EVE University to find out how they help make EVE Online a more friendly place for new players and older ones alike.